I desire by God's grace to give to you this message-that your God in heaven answers the prayers which you have offered for blessing on yourselves and for blessing on those around you by this one demand: Are you willing to surrender yourselves absolutely into His hands? Every one of us is a temple of God, in which God will dwell and work mightily on one condition-absolute surrender to Him. God claims it, God is worthy of it, and without it God cannot work His blessed work in us. Absolute Surrender by Andrew Murray was published by Wilder Publications in December 2008 and is our 55968th best seller. 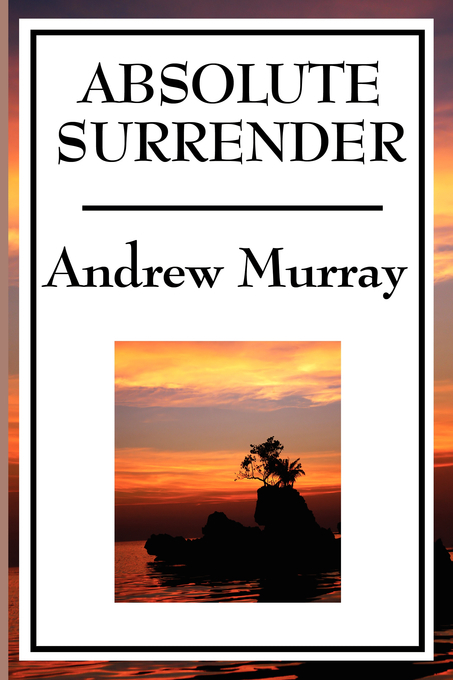 The ISBN for Absolute Surrender is 9781604595871.